It’s that time of year again! Holidays means taking time with friends, family and loved ones to enjoy a well-deserved break at the end of the year. It’s a time for sharing happiness and celebrating together with food, decorations and fun. But there’s no reason that all that celebrating has to come at the cost of the environment! Here at Clean Up, we wanted to put together an eco friendly guide that would help everyone get the most out of the holidays while saving energy and avoiding waste. Check out our tips and hints for your best and most sustainable Christmas yet! Don’t forget to scroll to the bottom for some free goodies! Support Clean Up Australia this Christmas with a donation to our Christmas Appeal. Your donation will help fund our environmental work, advocacy and provide materials to our wonderful volunteers. 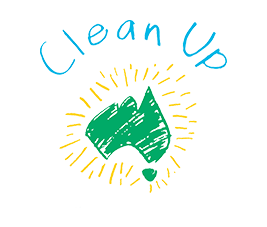 A donation to Clean Up Australia is a donation for a cleaner, greener world. 1. What’s it made out of? If it’s plastic, polystyrene or easily broken glass – it’s best to put it back and go for natural, organic materials. Sticking to recyclable or compostable materials means if you don’t want to keep decorations year after year, you won’t be making a big eco foot print each Christmas. If your material is compostable this is a great way to use new decorations each year – things like dried orange garlands (see above), leaves, and organic materials are all great choices. If you do see something you love in durable glass, porcelain or ceramic make sure you’ll want to keep it year after year to save on waste. The big ones to avoid? Plastic and polystyrene – the less of these we can use the better! 3. Can I up-cycle my old decorations into new ones? Often those old Christmas baubles don’t need anything more than a coat of paint or a clever approach to make the old new again! Have a look at old wine bottles, mason jars, last years wreaths and things lying round the home to see if their a DIY afternoon away from an amazing Christmas decorating idea. Use LED lighting in your Christmas lights this year to reduce your eco footprint and save your power bill! Make sure to only turn on the lights when in use and switch off at other times. Outdoor lights can be a big drain on energy so try not to keep them running all night long! Make a cut off hour and only keep them on for an hour or two each night to save power and reduce your carbon footprint. Make sure when Christmas comes to an end that you recycle your decorations made from paper, glass or some types of plastic and double check with your council to see when they’re doing their Christmas tree recycling drive! Here are our Top 10 Tips for 2019! 4. Make your own eco friendly decorations inspired by nature using branches, fallen leaves, burlap etc. 10. Get a live potted tree you can keep year round! Keen to see any Christmas waste doesn’t end up in landfill? Head to http://compostrevolution.com.au and get your very own worm farm or compost set up! There are some great discounts available so check out what’s happening in your area! When it comes to food, buy seasonal, local and organic where possible. Less distance to travel to the store and less chemicals in production means a more eco friendly Christmas lunch. When it comes to gifts, think eco friendly and sustainable this year! We have some fun environmentally friendly items available from the Clean Up Australia Day store. Head to www.cleanupaustraliastore.org to check out our full range of eco friendly sustainable products that would make the perfect present for someone this year! 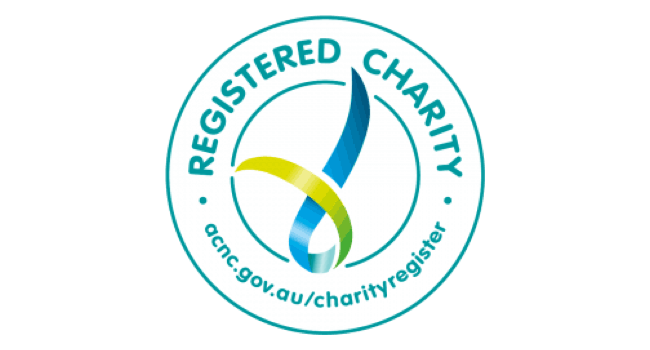 As a non-government funded, not-for-profit organisation, we rely on donations from individuals and businesses in order to mobilise hundreds of thousands of Australians to produce fundamental, positive change. By buying a product in our shop, your money will directly help us to run our campaigns and provide Clean Up kits to the participants. We hope these tips set you on the way for your most eco-friendly Christmas yet!